Criteo (NASDAQ: CRTO), the performance marketing technology company, today announced it has signed a definitive agreement to acquire HookLogic. 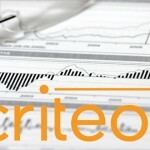 The acquisition of HookLogic and its leading advertising exchange for brands will strengthen Criteo’s performance marketing platform. HookLogic’s performance marketing exchange connects many of the world’s largest retail e-commerce sites with consumer brand manufacturers who vie for virtual shelf-space via sponsored product ads. Retailers earn revenue by monetizing their site traffic via these Cost-per-Click (CPC) based native ads. Unlike traditional advertising tactics, HookLogic’s ads link manufacturer marketing spend directly to retail sales. Criteo will integrate its sophisticated technology for predictive bidding and product recommendations into HookLogic’s products, bringing increased campaign performance to brand manufacturers and enabling retailers to further monetize their site traffic via the HookLogic Exchange. HookLogic was founded in 2004 and is headquartered in New York, USA. HookLogic’s solutions will be maintained upon close of the deal ensuring continuity of its offering. The transaction remains subject to customary conditions and is expected to close in the 4th quarter of Criteo’s fiscal year, as described in Criteo’s filings with the U.S. Securities and Exchange Commission. Eric Eichmann, CEO Criteo, and Benoit Fouilland, CFO Criteo, will host a conference call on the HookLogic acquisition today, October 4, 2016, at 8:00 AM ET, 2:00 PM CET. The conference call will be webcast live on the Company’s website http://ir.criteo.com and will be available for replay. HookLogic, the pioneer of performance marketing for brands, partners with the world’s leading retailers and online travel agencies to accelerate sales for product brands and hotels. Advertisers use the platform to reach in-market shoppers, drive traffic to products, and attribute resulting sales. Network partners and advertisers include Walmart, Tesco, Target, Asda, Best Buy, Macy’s, Expedia, Hasbro, Intel, LG, L’Oreal, Mondelez, Philips, Microsoft and Marriott. HookLogic is headquartered in New York, with offices in Ann Arbor, Mich.; Santa Monica, Calif.; London, Paris, São Paulo, Toronto and the Netherlands. For more information, please visit www.hooklogic.com or call (646) 467-8200.